Professor Bejan's research covers engineering science and applied physics: thermodynamics, heat transfer, convection, design, and evolution in nature. Professor Bejan was ranked in 2001 among the 100 most highly cited authors worldwide in engineering (all fields, all countries), the Institute for Scientific Information. Professor Bejan has received 18 honorary doctorates from universities in 11 countries. 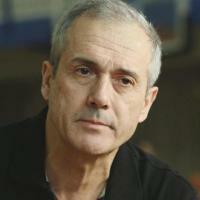 Adrian Bejan is the author of 30 books and over 650 peer-referred articles. In October 2018, his h-index is 91 on Google Scholar and 63 on the Web of Science. Thermodynamics, applied physics, life & evolution in nature, constructal law. Bejan, A, The Physics of Life The Evolution of Everything (2016) [abs].